Nature: Over 95% of our ingredients have a natural origin. Selection: No Parabens, No Silicons , No Mineral Oils, No SLS. Tradition: We guarantee the products’ quality thanks to traditional methods such as hot soap processing. Time: We let our compounds mature over time in small production in order to obtain more concentrated, rich and creamy products. • For all skin types. • Eucalyptus Oil refreshes skin and softens beard for non-irritating shave. • Thick, concentrated texture. This means it prepares the stubble and makes the skin elastic, ready for a problem-free shave. • EUCALYPTUS OIL has a toning and purifying effect MENTHOL has refreshing and revitalizing properties GLYCERIN encourages a smooth shave. This reduces irritation and redness. • Eucalyptus Oil soothes skin and reduces redness and sting. Added witch hazel reduces rash and razor-burn. 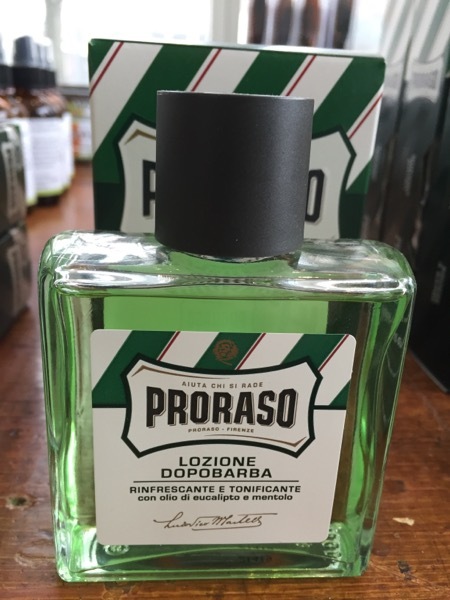 • Collaboration between Proraso and the famous Omega company ensures a perfect shave. • The high quality of the bristles, their greater length and stiffness quickly turn shaving soap into a creamy foam. • Compact enough to roll gently over the face. • Made from Badger bristle which is why it cost under 20 dollars. If it was from boar bristle, it would be hundreds of dollars. Customers claim it feels and acts the same.